Tomorrow's Ice Hockey Development was founded on the principles of providing a quality hockey learning experience while working collaboratively and in partnership with youth hockey to support, grow, and sustain youth hockey. The teaching professionals who represent Tomorrow's Ice are committed to keeping a player centered environment and creating an atmosphere that fosters development and positive self-worth. We continue to believe that serious training within a structured environment can be both effective, as well as enjoyable…when done right and led right! 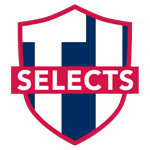 We are excited to announce the tryout schedule for the 2019-2020 TIDP TI Selects winter teams. The TIDP (Tomorrow's Ice Development Program) teams are intended for high-level Tier II and Tier I caliber players aspiring to train in preparation for continued hockey advancement. The TIDP is a complete hockey development model designed to mirror many components of the USA Hockey National Team Development Program model. The TI Selects are proud members of the EJEPL playing in the Diamond division. For Program Detail and Information please click here. Possible consideration to be optional/invite only. May extend to 13U/14U if needed. 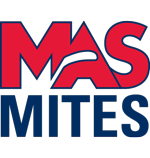 2019 MAS Spring Program Begins March 11th... Registration Open! 2019 MAS Spring Tryouts-SAVE THE DATE! 2019 Game Changer Summer Camp Series Schedule-SAVE THE DATE! TI Selects Players Selected to the EJEPL All-Star Game! Summer Camp and Training Schedule! ©2019 Tomorrow's Ice / SportsEngine. All Rights Reserved.